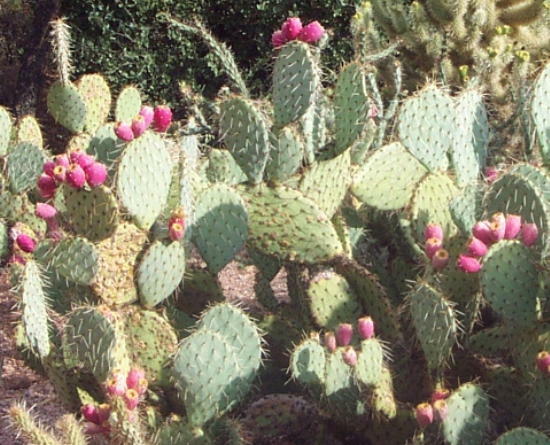 The Prickly Pear Have Fruit! The birds and chipmunks climb the cactus to feast. Hmm...speaking of feast, what time is it?